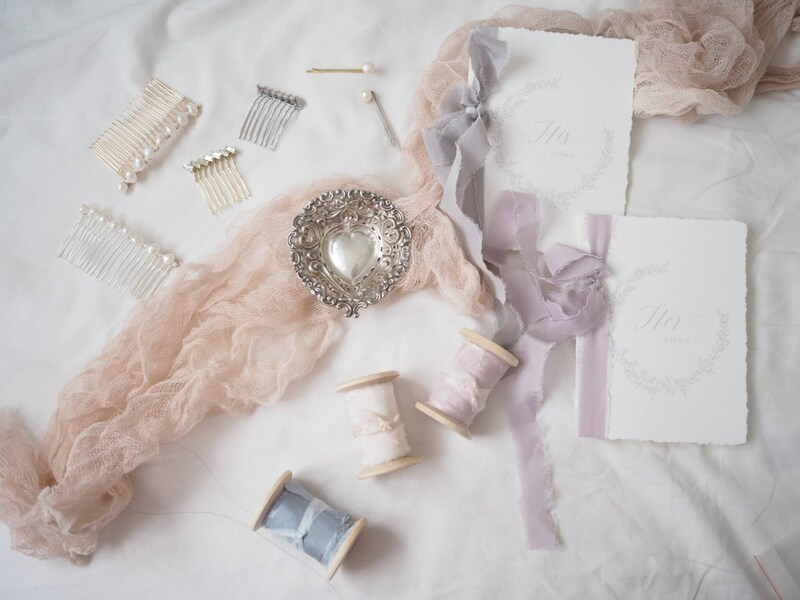 Perfect choice for bride who wants a clean simple look. 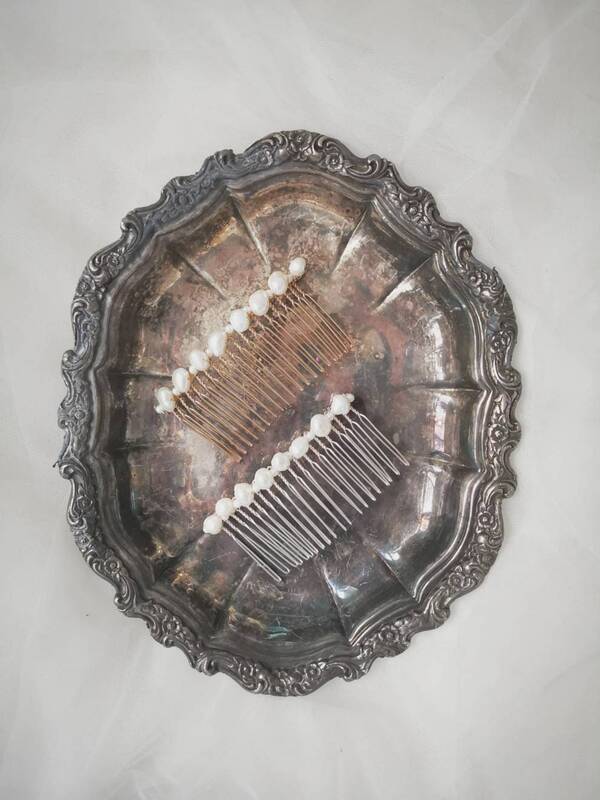 The comb is available in gold and silver colour, decorated with off round freshwater pearls. 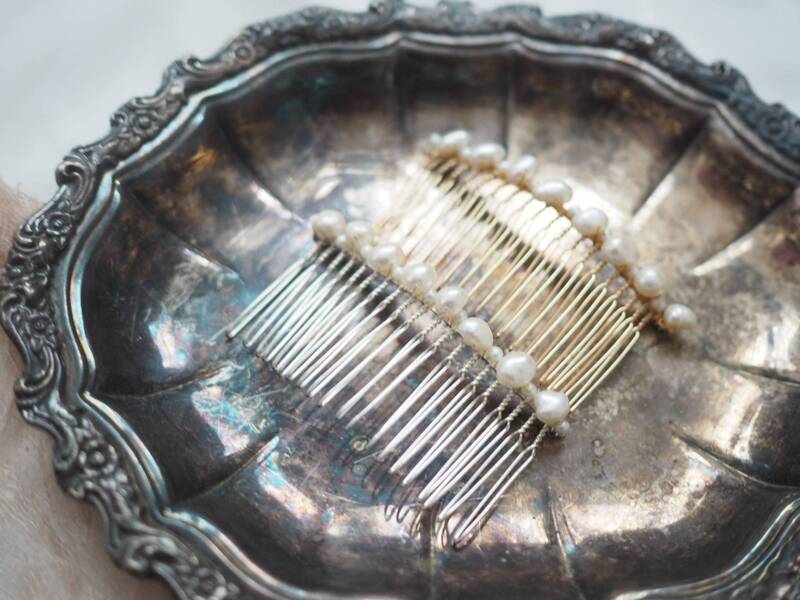 Each pearl are in natural shape with a bit of character. 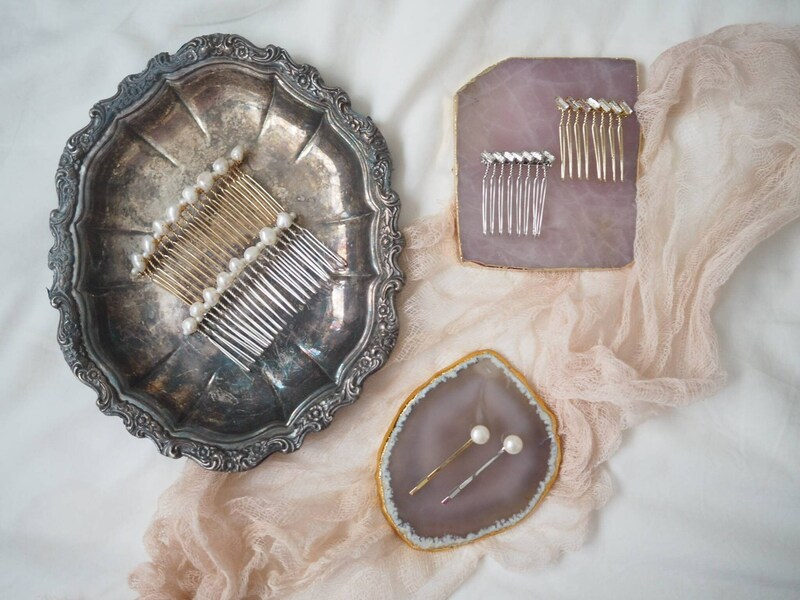 Also a perfect gift for your bridesmaids! Designed and handmade by HVBC. Free shipping worldwide.